If you need a trail, help to scout out a boat ramp, planning a mountain biking adventure or even looking for some rock climbing get your hands on this new map! The new McCall, Idaho Trail Guide covers it all from our local area out to the backcountry both to the North and South. It displays public land, bike paths and trail networks like ponderosa park, jug mtn and bear basin. Over the course of a year, our talented GIS department designed this map that is now available to the public for purchase at City Hall and McCall’s local sports stores. 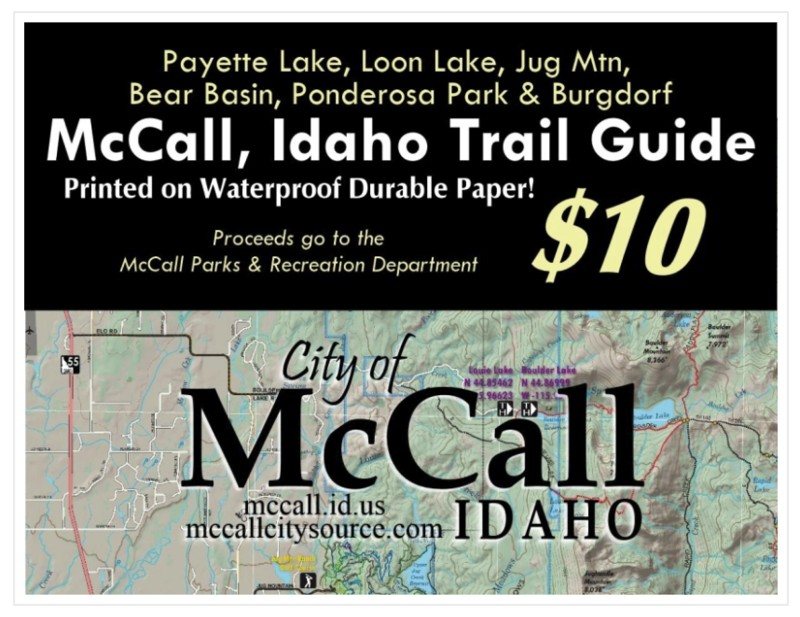 The waterproof and durable pocket map is just $10 and benefits the McCall Parks & Recreation Department. The map features little extras like trails from the USFS, giving milage and popular destinations. It shows common flowers, animal tracks, fish descriptions and all things recreation whether you are boating, climbing, fishing, biking, hiking or riding motor vehicles. Pick yours up!